Learn How to Work Well with Bad Bosses | SeibCo, LLC. I recently received an article in my Inbox from a business associate’s employee. It was about bosses being difficult (a nicer title than the actual one sent to me!). I, myself, have worked for bosses who truly understood the technical aspects of the job and industry, but did not know how to manage. I learned a lot from them. I’ve also worked for a couple who received their job title for reasons unknown. And I learned how to work with them to achieve needed results, too. In any company, there will be bosses who earn their title, while others happen to be in the right place at the wrong time. 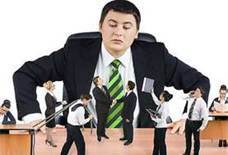 These bad bosses often exhibit poor communication styles, lack of organization or project skills and show favoritism. The goal? It’s your job to learn how to work well with them in order to receive your paychecks, acquire job expertise, and support your own career aspirations. A career lesson to be learned. Otherwise, there’s an excellent chance your next boss will be the same with a different name! A true story: a client was disparaging his boss, and his actions. He believed his co-workers felt the same way. One example was how this difficult boss distributed quarterly bonuses after completion of a major project. As his coach, I recommended he talk with the boss and clear up any misunderstandings. He did so very reluctantly and was happily amazed by the outcome! Not only did his boss stop sharpening the pencil, my client became known for his ability to work well with a difficult person. Other employees came to him for advice when dealing with this boss, and others. The President of the company acknowledged his executive growth and promised new opportunities in the future. Hire your boss a coach. Obviously, this needs to be accomplished very diplomatically. Most bad bosses do not know another way to behave. They hate people challenges due to a lack of logic. They may become emotionally inept at handling these issues because of their own need to be liked. Maybe your boss takes the job more seriously, believes you and your co-workers should too, and is simply more demanding than others as a result. A good coach will help the boss see him- or herself objectively, develop more effective ways of interacting with others and develop people or project management skills to get results. Eye of the Beholder. While you can always find others who will agree with your assessment of how bad the boss is, look for others who have a different perspective about the things your boss is doing well. Listen to them. Maybe s/he is fair in bonus distribution and allocating OT. Perhaps s/he offers great ideas and ensures you receive the credit for implementation. When dealing with more controversial concerns, handle the roadblocks provided by your boss in an assertive manner to resolve customer or project difficulties. Remember, your boss (and others) may find productive disagreements helpful and getting to the source of excuses beneficial in order to achieve required results consistently. Needing to be liked or overly nice does not equate with being effective. It’s a process, not an event. It is natural for employees to expect an immediate difference and readily noticeable changes when a boss is advised of deficiencies. The reality? Bad habits take time to correct, regardless. For example, how long does it take someone to quit smoking cigarettes? It takes most people more than a few months, before it is deemed successful. So keep acknowledging any positive change. Hire yourself a coach to help you deal with your own life goals and interpersonal fears. You’ll be amazed by the difference it makes when you learn to be patient with yourself and are effective at achieving your own goals. Your new awareness makes it easier for others to get along with you! Jeannette Seibly is a Business Advisor and has successfully coached 1000’s of business owners and executives to be successful leaders while growing their businesses. Three of them became millionaires!